Turkish Cuisine Set Menu at Recep Usta, Alhazm Mall! Appetizers & salads: Bread & Lavash, Havuc Ezmesi, Souslu Patlican, Cig Kofte, Haydari & Choban salad. Main course: Sac Tava Tavuk or Adana kebab (Lamb or Chicken) or Firin Beyti sarma. Finish off with desserts like Recep Usta Special Baklava or Semolina Halva served with vanilla ice cream. Beverages include still water & turkish tea. 50% off a traditional Turkish meal! 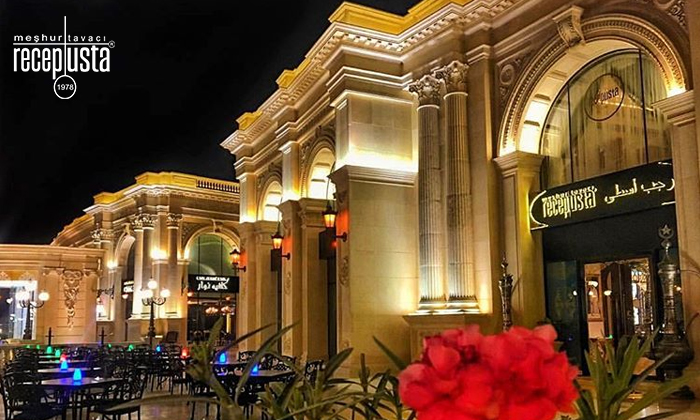 Located in the upscale Alhazm Mall, Recep Usta is a popular fine dining Turkish Restaurant that was first established in 1978 in Ankara, Turkey. 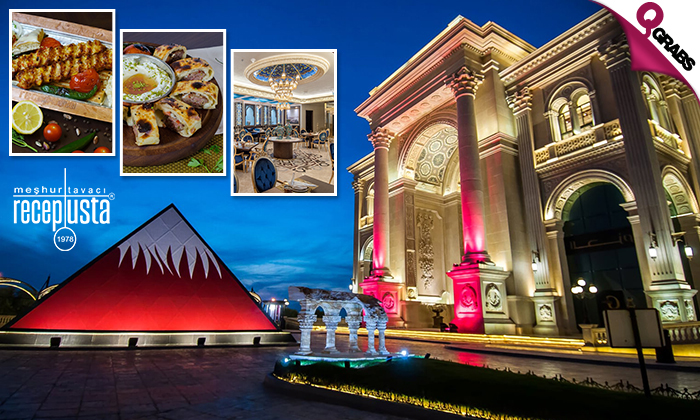 With several branches in different Turkish cities, the Doha branch is the first in the Middle East to offer the finest dishes of the Turkish cuisine. Our specialties include, Kaburga Dolması, Burma Kebab, Kemikli Kaburga Sis and many other house specials. Every meal will guarantee you a unique and incomparable flavor that will leave you delighted and wanting more. We proudly invite you to experience the ultimate Turkish hospitality & dining experience.